Solvent-based, asphalt-latex product designed for cold gluing of traditional asphalt papers for concrete and plaster, gluing papers together in multi-layer insulation, carrying out systematic moisture and water protection for roofs, eaves, concrete screeds, foundations and strip foundations. 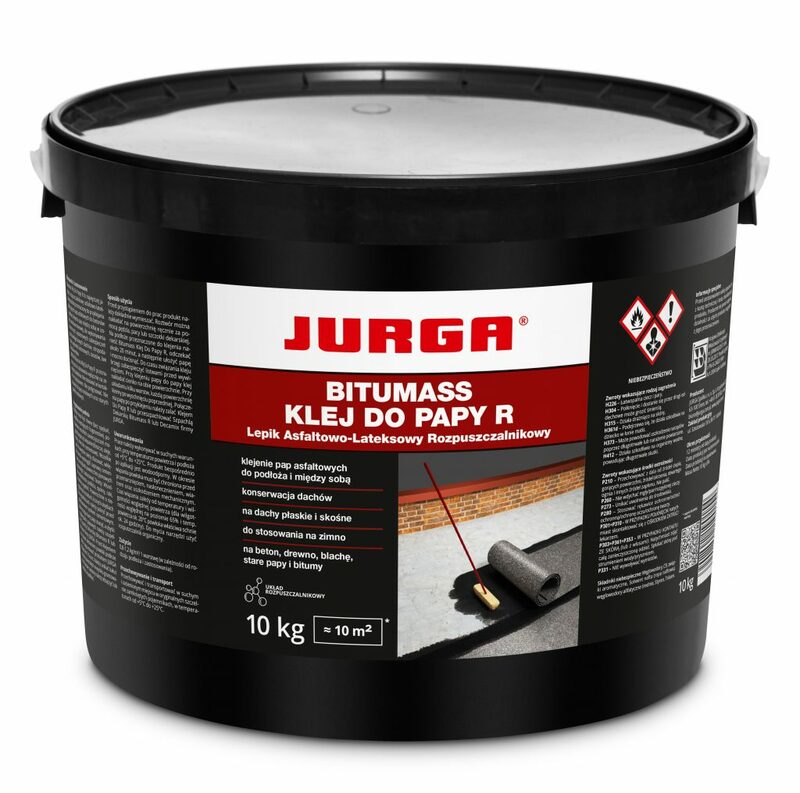 For use on flat and slanting roofs, concrete, wood, sheet, old roofing paper and bitumen. 0.8 - 1.2 kg / m² / 1 coat (depending on substrate and application).